Georgia covers an area of about 69,700 km². It is situated on the east coast of the Black Sea and bounded by Russia on the north and by Azerbaijan, Armenia, and Turkey on the south. Rugged mountain ranges dominate Georgia’s landscape, constituting about 85% of the total land area. 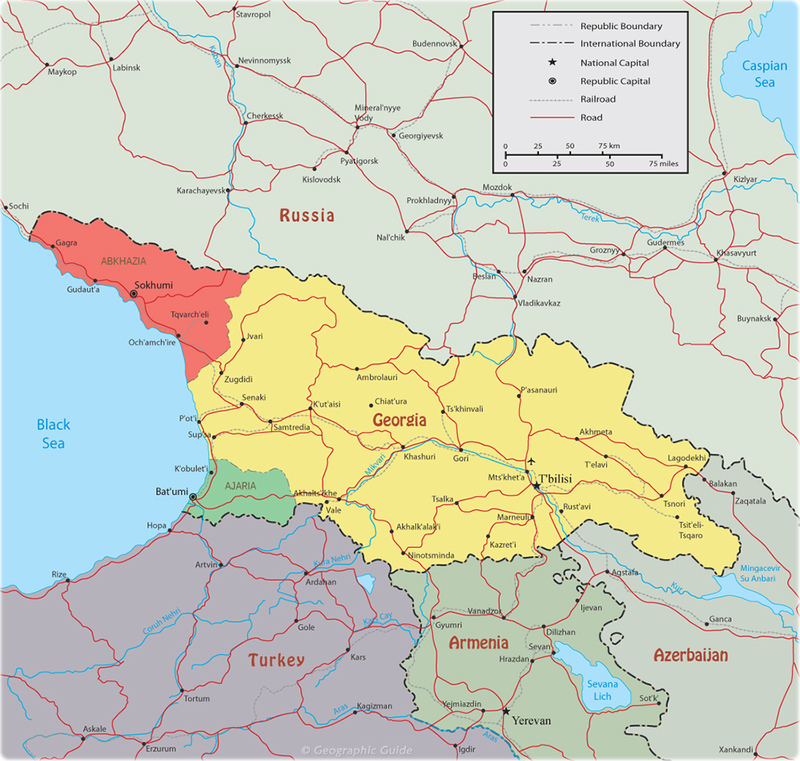 The main ridge of the Caucasus Mountains forms most of Georgia’s northern border with Russia and contains the country’s highest elevations, including Mount Shkhara (5,200 m), Georgia’s highest peak. Copyright © Geographic Guide - Images of the Asian Continent.